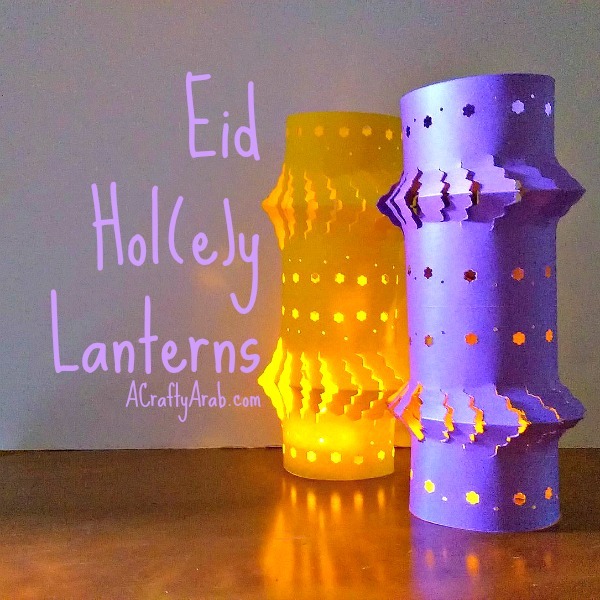 Eid lanterns are so easy and fun to make. 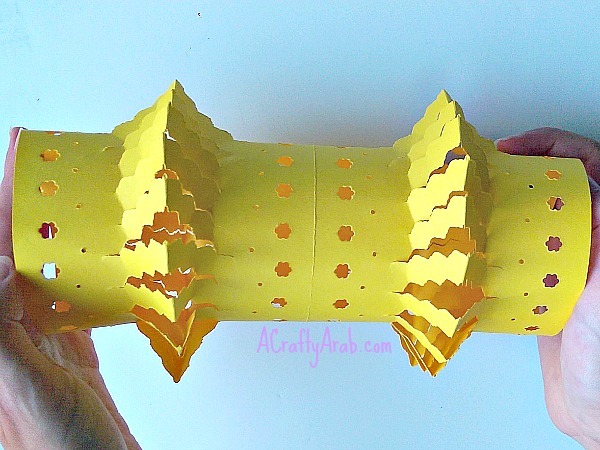 We first showed you how to make Eid Tea light Lanterns and then started getting fancy with vellum on our Mosque Night Light Tutorial and our Hanging Vellum Ramadan Lantern. 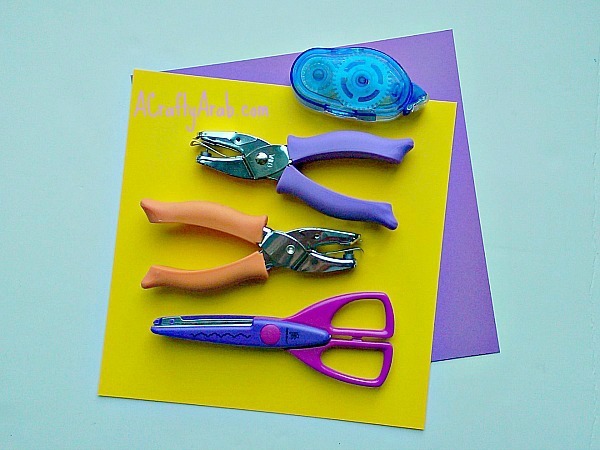 With this tutorial, we’ve gone back to our basic design but decided to try out some new hole punches we just purchased Instead of holes, there are shapes like a flower, butterfly, maple leaf, among others. I can’t wait to try them on different activities. 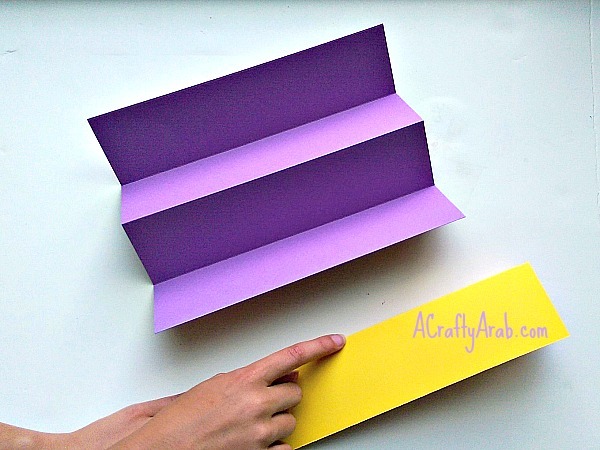 Fold your paper in three locations, accordion style. You’ll notice this creates three mountain points and two valley points. 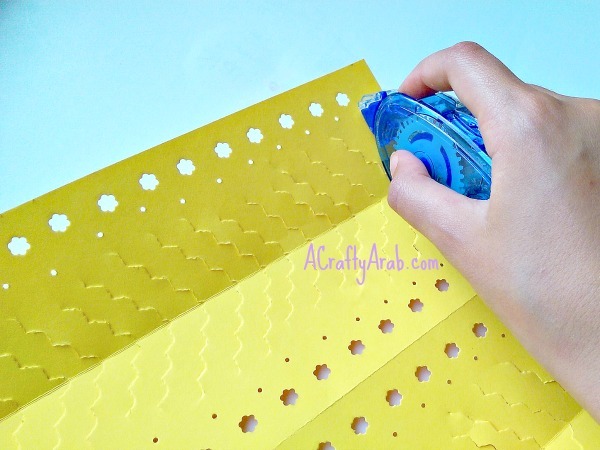 Hold the paper towards you that has the three mountain points and create holes with your flower punch all the way down the paper. 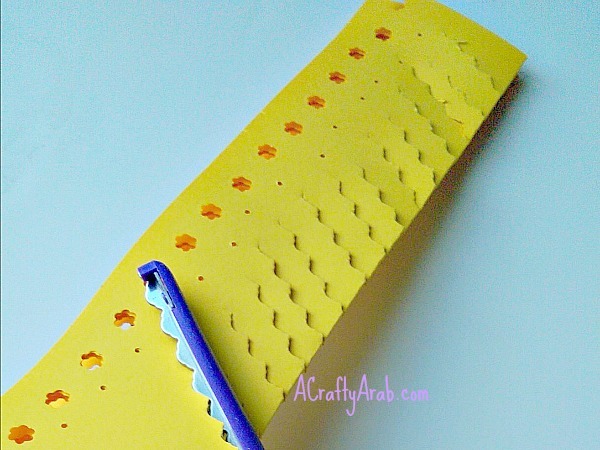 Take your smaller hole punch and create tiny holes in between each flower punch. 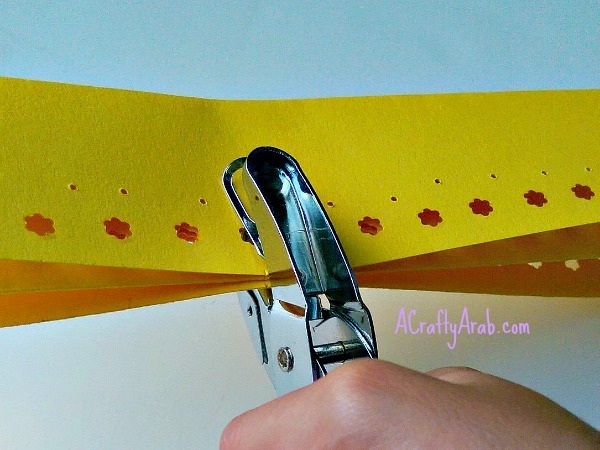 Flip your paper around so that the two valleys face you and cut your paper at a slat with the decorative scissors. Open your paper and run a line of double sided tape all along one end. Bring over your other side, creating a cylinder shape. You might want to have someone help a little with this step, but you basically need to “squish” your two lantern ends, very carefully, so that the two valley points are now pointed out, becoming mountains. We also pinched them a little closed once we got them all turned around to help them hold. Place LED lights in your lanterns and enjoy! Never ever use real candles, and even with LED, you might want to be careful and not leave these unattended for too long. Excuse the pun on words for the title, hole for the hole punches and Holy for the month of Ramadan. My eight year old thought it was hilarious! 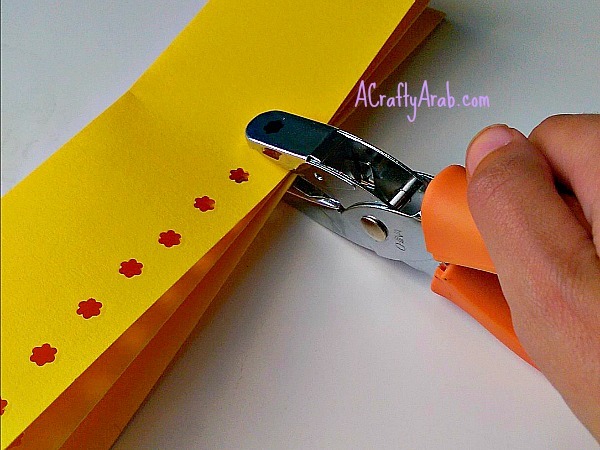 To see more DIY tutorials about the Arab world, visit A Crafty Arab on Pinterest.